We now have two hives with two happy, healthy and fertile queens. The honey supers (top box) is filling up with nectar and capped honey! In a couple of weeks, it will be time to harvest the honey, bottle it and share it with the community as a fundraiser for Graze the Roof and other greening projects at GLIDE. 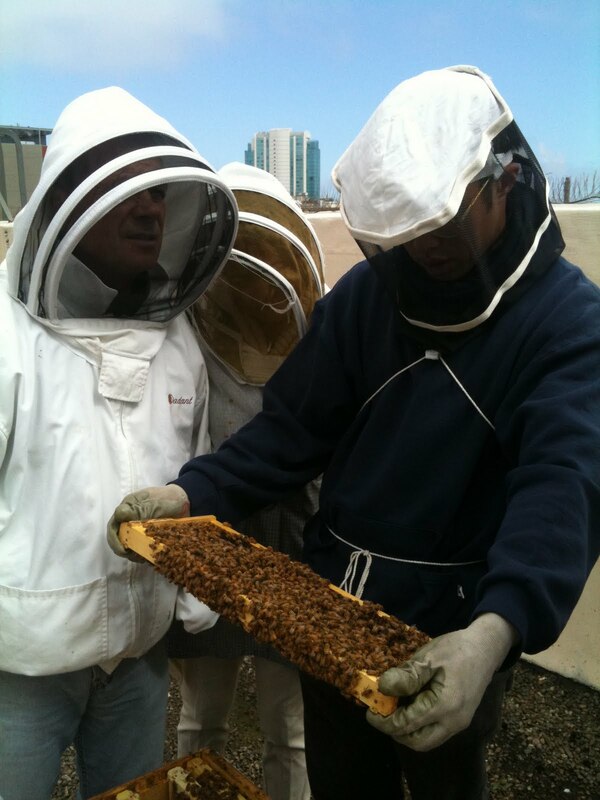 Learn about bee keeping in the city!